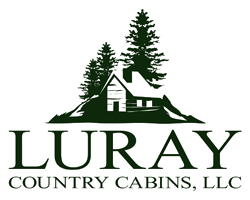 At Luray Country Cabins, LLC, we understand your need to relax but still have all the modern conveniences of home. Our sizeable cabins sleep up to ten guests and are equipped with full working kitchens and dishwashers, as well as satellite TV, a Jacuzzi for two, and much more. 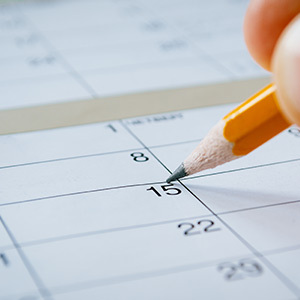 Check out our availability calendar for the best dates to book your next trip. We are happy to accommodate your needs. Depending on the cabin, we have great seasonal amenities including a gas log fireplace for the colder months and outdoor furniture for the warmer months. Book your next stay with us and enjoy a peaceful cabin retreat. 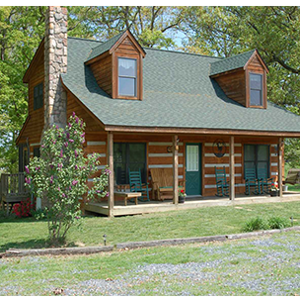 Luray Country Cabins, LLC offers exclusive cabin vacation rentals in the Shenandoah Valley. 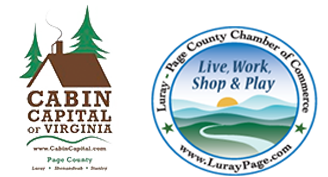 We are located just outside of the town of Luray, Virginia, but are close to shopping, town attractions, and lots of local activities. Enjoy a comfortable, rustic place to put up your feet and experience nature. Come stay with us in the valley and enjoy the beautiful majestic scenery of the Blue Ridge Mountains. You may even see the local herd of grazing whitetail deer on the farm at dusk. The cabins are located on an authentic family farm-one of many reasons why guests choose to rent from us. Our cabins are decorated with antiques and we carefully hand-maintain it for your comfort. The Deer Country Cabin is a gorgeous, traditional log cabin. In fact, the logs were sourced from a neighboring property, taken to the mill, cut, then built by us. Give us a call today for more information.